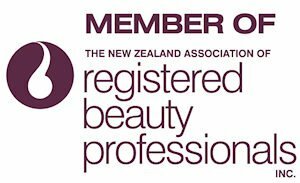 Proudly Bien-être is a Professional member of The New Zealand Association of Registered Beauty Therapists Inc and the Reflexology New Zealand Association. Founded by Lia van Tonder in July 2005, in a small treatment room within a busy Hair Salon, Bien-être is now independent and well established in a beautiful tranquil environment in the leafy suburb of St Albans, Christchurch. The French business name “bien-être” encompasses every aspect of wellbeing, not just the physiological, but the psychological, emotional, spiritual and mental wellbeing – all of which Lia holds dear and endeavours, to the best of her ability, to treat in her clinic. – and primarily the sensation of healthy touch they experience during their treatment. Having studied the International ITEC Diploma in Zimbabwe in 1996, Lia discovered that the beauty, health and wellness industry was a vocation for her. The following year, Lia decided to compliment her repertoire of beauty therapy treatments by embracing alternative therapies and undertook postgraduate studies with the Aromatherapy guru – Eve Taylor in her Institute of Clinical Aromatherapy. 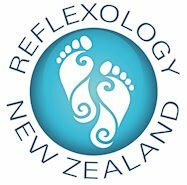 And subsequently discovered the wonderful world of Reflexology in 2002 when she did an intensive course in the ancient science through the International Institute of Reflexology studying the Ingham Method which is a firm touch reflexology approach. During the course of the years following her initial training, Lia opened her own beauty clinic in Zimbabwe which she successfully ran for 5 years amidst travels abroad to London and Canada, before embarking on a move across the ocean to New Zealand in March 2003 – namely Christchurch – which she now calls home. After working for Nicola Quinn Beauty & Day Spa for two years as a Beauty Therapist, Reflexologist, Clinic Co-Ordinator and Staff Trainer, Lia was offered a part-time position as the GUINOT New Zealand National Educator. 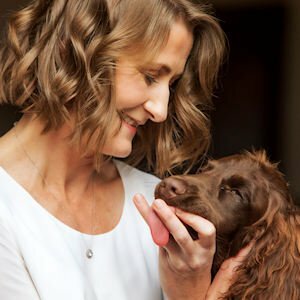 This gave Lia a wonderful platform to establish a part-time practice of her own – and so Bien-être Beauty Therapy | Reflexology was born, and has since flourished to be a successful full-time Clinic. Lia moved on from her GUINOT National Educator position once time restraints became evident, however she maintains a long-established passion for the GUINOT range of products which she continues to personally use, work with in the clinic, and stock for retail. Maternity Reflexology with Lyndall Mollart in 2007 with the emphasis on Hormones of Fertility, Preconception and Pregnancy Care. New Millennium Flower Essence Practitioner’s Workshop in 2008. In August 2015 Lia studied and achieved a 26-week Certificate in Applied Small Business Growth and Development (CABG). Reflexology for the Treatment of Pain with Mauricio Kruchik in November 2016. Parenting and Personal Growth and Development Courses. It was with great joy in June 2011, Lia welcomed her darling son, Caleb into this world, and she embarked on life as a Mother which she loves and embraces wholeheartedly. Since then her work schedule has fitted in around her commitments to Caleb. Caleb is now settled at school, which affords her more time to allow her business and professional focus to grow and blossom. Lia and Caleb opened their home and hearts in February 2017 to welcome a new fur baby – their beloved chocolate Spaniel cross puppy – Archie. He joins their two precious cats – Misty and Zach. Archie (unless objected to) will most likely welcome you quietly with a very happy tail at the door, and rest peacefully on the floor in the treatment room during your appointment – he adores the company. In their free time Lia and Caleb are more often seen walking with Archie, gardening together, or found out riding their bikes or scooters enjoying some wonderful New Zealand sunshine.